This one guide contains the four military services's civilian education programs-how the system works, how to apply, how to take examinations for advanced credit, and how to get academic credit for military service. 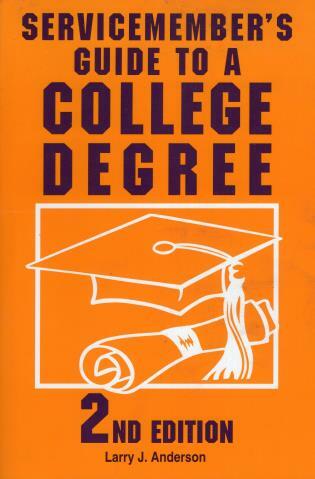 Additionally, it has information on educational goal setting; developing an educational program; lists of accredited colleges that accept active-duty servicemembers; how to use education centers, the Internet, and other online courses for distance learning; and complete lists of websites and addresses. Larry J. Anderson earned two college degrees through this program. He continues to write and counsel, and currently resides in Gambrills, Maryland.